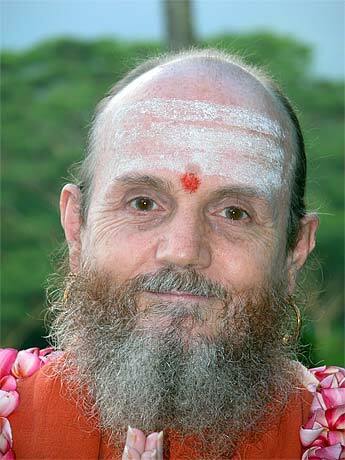 Satguru Bodhinatha Veylanswami (born in California, 1942), a Hindu sannyasin monk and a religious leader, is the head of Kauai's Hindu Monastery and publisher of Hinduism Today magazine. He is known for his initiative of digitizing the Saiva Agamas, mystical scriptures of the Hindu Saivite religion and the basis for Hindu temple liturgy, making them freely available in digital format and encouraging their study. The Adi Saiva Sivachariyar priestly community honors him as "The Supreme Acharya who has uplifted and preserved the Agamas and the Agama tradition." Bodhinatha presides over three organizations: Saiva Siddhanta Church, Himalayan Academy publications and Hindu Heritage Endowment.